When we started putting together the bracket for the 2015 DFW.com Battle of the Burgers, we considered at least 60 places to fill the 32 slots. And if you look at the comments on our original story about the bracket, you’ll see that there are people who are of the opinion that we missed some places. And then there are the places that hadn’t opened yet, like Teddy’s Bigger Burgers, which opened Sunday in Colleyville. Teddy’s is a Hawaii-based fast-casual chain that has locations in places as diverse as the Philippines and Iowa; the Colleyville location, across from a shopping center anchored by a (relatively) new Whole Foods Market, is the first in Texas. We checked it out around 1:30 p.m. Sunday, walking in to a busy restaurant that was more than three-quarters full. Despite the chain’s Hawaiian background, the first thing we were reminded of when looking at the table-booth arrangement and listening to the piped-in, eclectic mix of pop music (everything from the ’60s to current) was Texas-based Mooyah Burgers. The ordering system is similar, with a sort of checklist of things to think about as you’re ordering, although at Teddy’s, you get a number and a server takes the food to your table. Drinks are self-serve; a 32-oz. iced tea was a whopping $2.69 even though it’s Fuze tea from the fountain and not brewed on-site (that said, this was some of the best fountain tea we’ve ever had). As you might expect, Teddy’s has some Hawaiian-influenced burgers, including, well, the Hawaiian, a teriyaki burger with grilled pineapple. Others seem to be more Hawaiian in name only, such as the Kailua, a mushroom-Swiss burger where the most unusual twist is the teriyaki sauce (or “teri,” as the menu puts it in Guy Fieri-speak). The standard burger, however, comes with special sauce, lettuce, tomatoes, onions and pickles. Toppings are extra, and range from 69 cents to $2.59, although the latter is for such toppings as barbecue pork or pastrami. On the menu, burgers are listed as coming in 5-, 7- and 9-ounce patties; we were told that that will be changed soon to 4-, 6- and 8-ounce sizes. Despite the Hawaiian influence, we were told that the biggest seller on Sunday was the burger of the month: Hatch green chile cheeseburger. Give this Teddy’s credit for being on the seasonal bandwagon. I ordered the 5-ounce version, essentially Teddy’s “Big Original” ($5.19 for this size) with added green chiles ($1.49) and cheese (69 cents). The burger comes with pepperjack cheese, but I wanted to see how the chiles did without any spicy help, so I substituted cheddar. Avocado and grilled onions were recommended additions; I went for both, which added 69 cents for the grilled onions and $1.39 for the avocado. For a fast-casual green-chile cheeseburger, this wasn’t bad; the chiles had a good balance of flavor and heat, although they’d probably be too mild for some hotheads, the cheese was generous and the grilled onions were nicely cut, translucent and flavorful. Avocado can be tricky on a burger; too little and you don’t notice it, too much and things turn to mush. The latter happened in this case; a fork became necessary after about three bites of the Teddy’s potato bun (wheat buns and lettuce wraps are also available). The patty hit bull’s eye with the requested medium. Umami fries were good — french fries in garlic butter, a sriracha aioli and furikake (a Japanese seasoning that’s also available on the burgers for 69 cents). While we liked all those extra touches, which were added with a hand that was neither too heavy or too light, we tasted enough unadorned fries to know that the fries would be good by themselves. A large order, at $4.59, was smaller than the “small” orders of fries at such fast-casual places as Five Guys and Mooyah. A server brought a sample of the root-beer shake to the table; tasty, but not transcendent. Shakes run $4-$7.59, and not all the flavors listed on the website were available at the Colleyville location. Teddy’s also offers chicken sandwiches, turkey and salmon burgers and a fish-fillet sandwich. There is a veggie burger ($6.49), which my wife had, adding jalapeños and avocados. The extras jacked the price of a Gardenburger-style veggie to $8.67. As far as the non-burger sandwiches go, I’m more curious about what Teddy’s takes on the pastrami and BBQ pork sandwiches are like. Non-burger sandwiches are $6.99; burgers range from $5.19 to more than $11 depending on size and style. The new Teddy’s, by the way, is almost directly across Colleyville Boulevard from a Snuffer’s that’s opening soon in the parking lot of the Whole Foods. Snuffer’s didn’t make it into our burger bracket, but there might be a Colleyville burger battle in the near future. 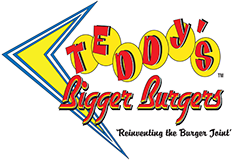 Teddy’s Bigger Burgers, 4712 Colleyville Blvd. Suite 100, Colleyville, 817-503-2100 . www.teddysbiggerburgers.com , Facebook: Teddy’s Bigger Burgers Colleyville Texas . Hours: 10:30 a.m.-9 p.m. daily.